A large traditional rose, an oversized open peony and a fantasy modern rose. 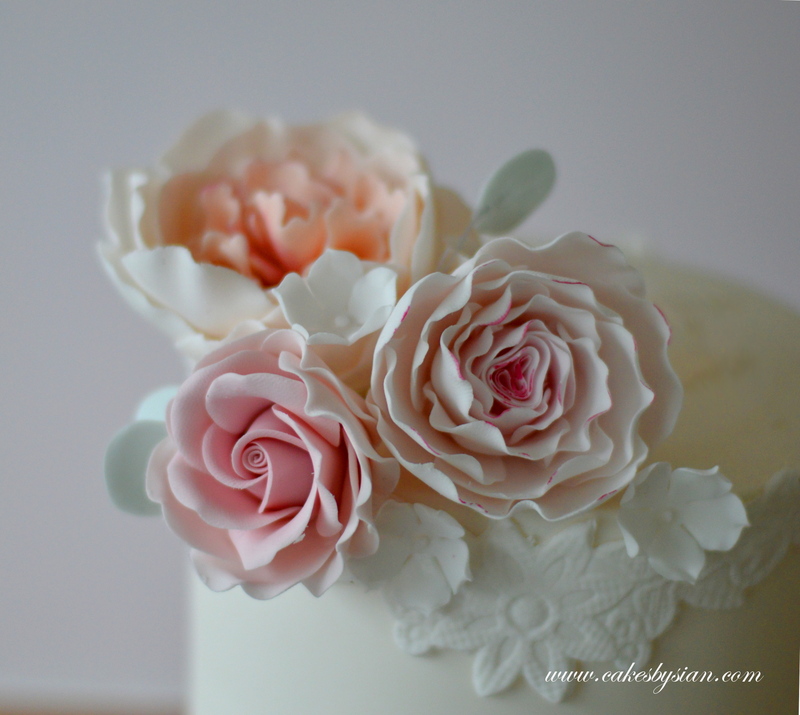 You will also learn how to create pretty filler jasmine flowers and eucalyptus leaves. You will learn how to blend colours to achieve realistic tones for your flowers and how to attach your flowers safely to your cake. All equipment and materials are provided and you will leave the class with your flowers boxed up and ready to use on your cakes. A light lunch will be provided in this class.